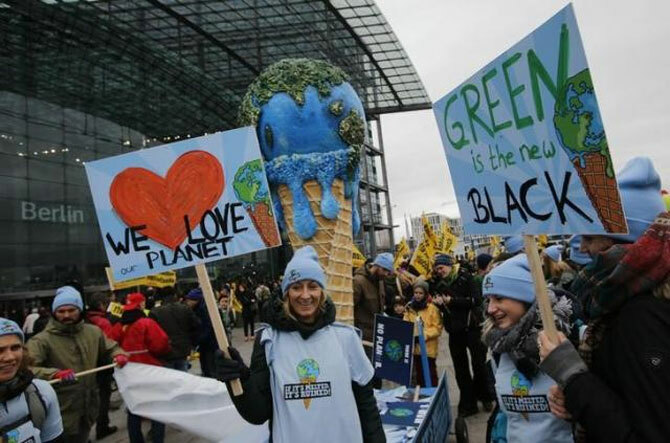 From business leaders to politicians, world figures reacted on Saturday to news that climate negotiators in Paris had approved a breakthrough accord that will for the first time unite rich and poor nations in combatting climate change. Today the world is united in the fight against climate change. Today the world gets a lifeline, a last chance to hand over to future generations a world that is more stable, a healthier planet, fairer societies and more prosperous economies. This robust agreement will steer the world towards a global clean energy transition. This is a tremendous victory for all of our citizen, not for any one country, or any one bloc, but for everybody here who has worked so hard to bring this across the finish line. It is a victory for all of the planet and for future generations. We have set a course here. The world has come together around an agreement that will empower us to chart a new path for our planet, a smart and responsible path, a sustainable path. Governments must now put words into actions, in particular by implementing policies that make effective progress on the mitigation pledges they have made. That is why my key message is to price carbon right and to do it now. We have opened a new chapter of hope in the lives of 7 billion people on the planet. We have (the planet) on loan from future generations. We have today reassured these future generations that we will all together  give them a better earth. Today's agreement demonstrates without question that it is possible for us to come together in common cause to address the greatest challenges we face, preventing tragedy for the many millions of people vulnerable to the effects of climate change and securing the economic prosperity of the world in the 21st century. The result is an unequivocal signal to the business and financial communities, one that will drive real change in the real economy. The billions of dollars pledged by developed countries will be matched with the trillions of dollars that will flow to low carbon investment. The Paris agreement marks a tipping point. Going forward the world has a shared vision that will lead inexorably to investors moving away from fossil fuels and towards a future powered by low carbon energy. Investors will encourage every country keen to build a sustainable economy to develop a long-term low-emissions development strategy, including carbon pricing schemes, so that investors know ambition levels over the short, medium- and long-term.